▷ Sunmile SM-G31 Review 2018 » Best Stainless Steal Meat Grinder? If you don’t mind manually washing your appliances, then this meat grinder would be great for you. Besides that, I have not noticed any other serious issues with it. With it, you can actually save a lot of money. Whatever amount of meat you intend to grind at home, this appliance will be up to the task and will do it in record time. 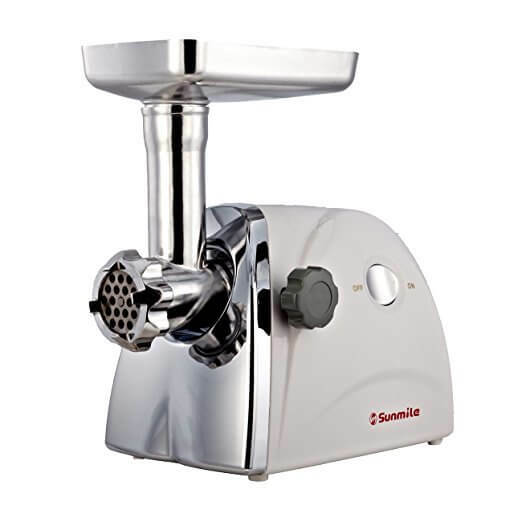 The Sunmile SM-G31 meat grinder is definitely one of the best in the market. It can grind generous amounts of meat in very short periods of time. You could easily grind a whole 150 pounds of meat in less than an hour, which is beyond what you would expect from a product at this price. That being said, do not expect to use this for commercial purposes. It is specifically meant for home use, and as such, can grind all the meat in your home faster than most other products. Still, it wouldn’t be up to the task if used for commercial purposes. “Quality” is the word I would use to describe this grinder. Not just the quality of the machine, but also the quality of its product. Everyone who ate the meat I ground using this meat grinder commented on the excellent quality of the grinding. No lumps and the meat tasted great. The meat tasted even better than the ground meat I have been getting from the store. Assembling this meat grinder is also quite simple. As some people even noted, it is harder to assemble it the wrong way. You also have a user manual to guide you. Using this grinder is also very simple. It has an on and off button and runs on electricity. All you need to do is plug it in, load in the meat you want to grind, and turn it on. It also comes with all the accessories you may need. These include a stainless steel cutting blade, three cutting plates, three types sausage attachments and a plastic food pusher. The meat grinder is not made of stainless steel, meaning you cannot clean it using the dishwasher. Although the manufacturers made it very easy to clean manually, it would have been much simpler to use the dishwasher. After using the meat grinder, you will have to wash it with hot soapy water, rinse it with hot water, and finally rinse it again with boiling water. Then your meat grinder will be entirely disinfected. To prevent the parts from rusting, you should also make sure you spray it with vegetable oil, then store it appropriately. If you use the dishwasher to clean it, the coating will discolor since it is made of aluminum. With that said, the cutting blades and plates can be washed in the dishwasher since they are made of stainless steel, but I always use a sponge, just to be safe. Another problem you may encounter is the reading and interpreting of the instruction manual. The instructions are poorly written, and if you lack experience in assembling such products, you might find it hard to assemble. The whole procedure is, however, quite simple once you get to understand the instructions. There are also no instructions on how to use the meat grinder. If you want to use it to make sausages or whatever you want to make, then you will have to do your research since no information is provided in the manual. On the bright side, there are more than enough videos on YouTube that can help you learn how to make anything using this meat grinder. Videos are actually better leaning tools compared to texts if you are inexperienced in this kind of work. This meat grinder is a great deal. For such a cheap price, you would expect something worse, but this meat grinder is quite the opposite. Yes, it has a few setbacks, but for this price, I wouldn’t expect to get a perfect product. 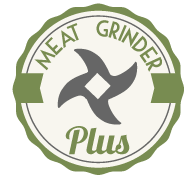 If you intend to grind your own meat at home, then this product would be great for the job.